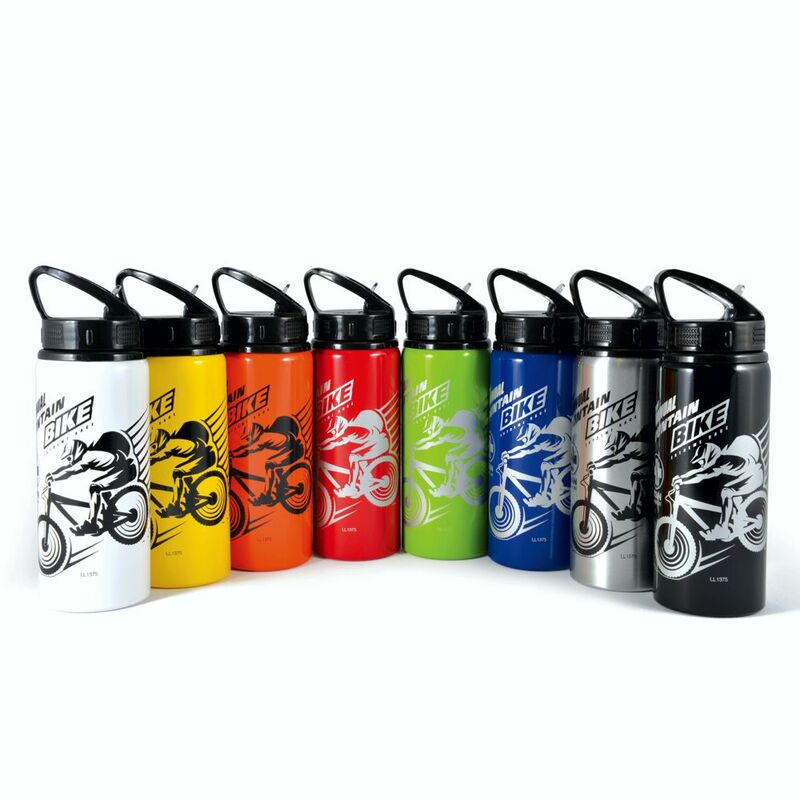 600ml lightweight aluminium drink bottle with leak proof flip up lid. Carry handle for easy portability. Available in a bright range of fashion colours. Low MOQ. Laser engrave available.